This property is now priced to sell as-is, seller prefers a cash offer but will entertain financing. There are repairs necessary and seller prefers a quick close of escrow. The property is boarded up and will require registration for access, please have your realtor reach out for instructions. Spacious Spanish Bungalow Style home with Original hardwood floors and built-ins with an oversized 2 car detached garage approx 640 sq ft with alley access! 3 bedroom 1 bathroom home with a basement area, inside laundry hook-ups and tons of storage. Large kitchen and bedrooms. 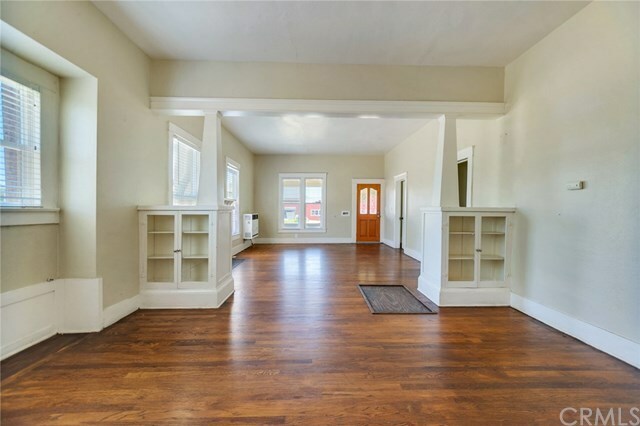 Large front porch and 10ft ceilings! Lots of custom details and features inside home, great opportunity! Property is boarded up, please have your realtor contact for showing instructions, do not trespass without confirmed appointment.